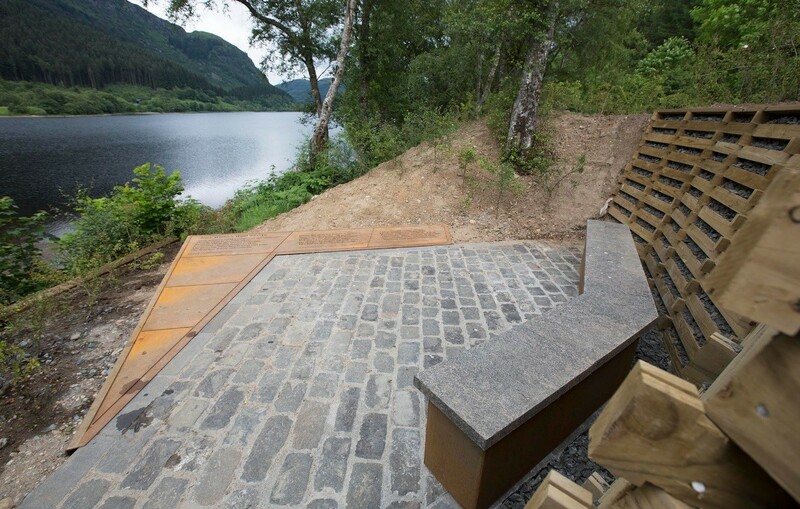 Three new vantage points have been unveiled by Loch Lomond & The Trossachs National Park as part of the ongoing Scenic Routes initiative. 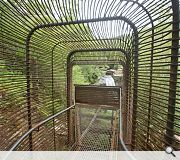 Designed to enhance local beauty spots through specially commissioned artistic and architectural interventions the work is intended to enhance visitor’s appreciation of the natural landscape. 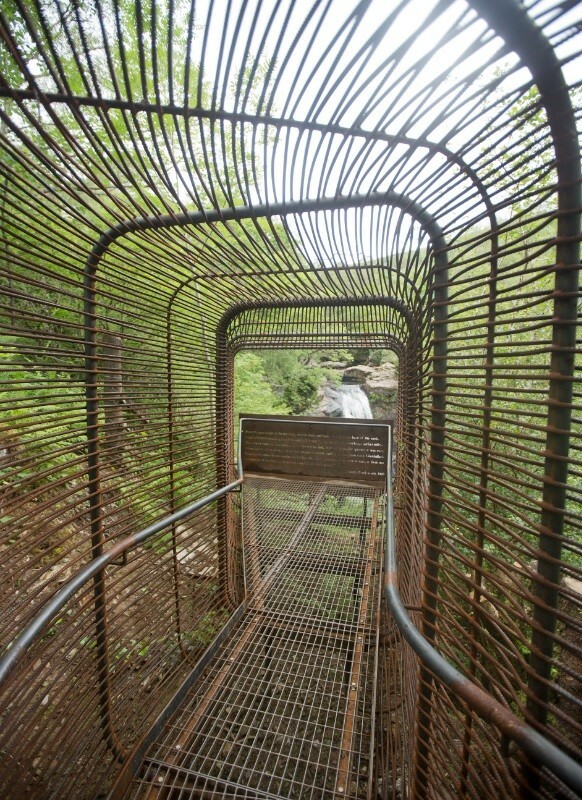 These take the form of a woven tunnel of steel rods at the Falls of Falloch, designed by John Kennedy to focus the roar of gushing water and a mirrored cabin in Balquhidder Glen designed by Daniel Tyler and Angus Ritchie. 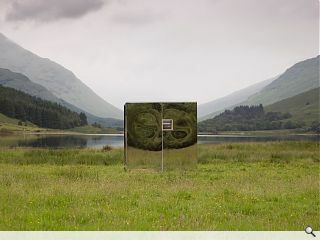 The reflective lookout reflects the surrounding loch and mountains and comes equipped with two benches for walkers to appreciate the space. 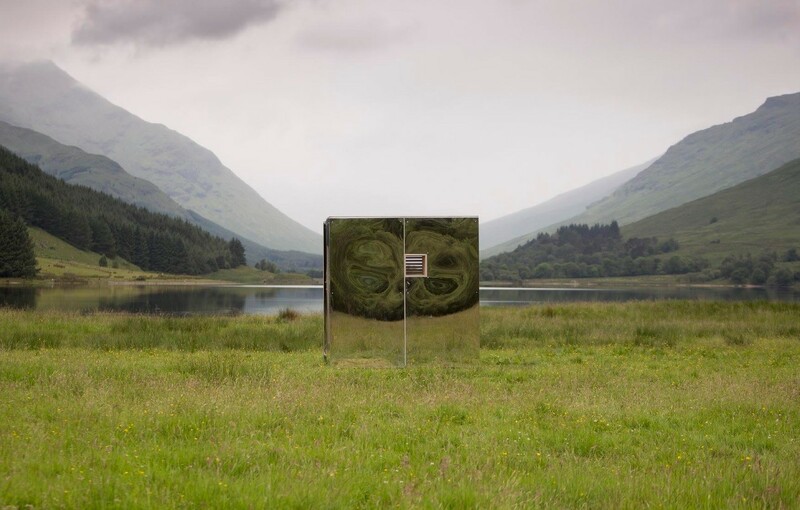 The trio is rounded out by a ‘Fairie Hollow’ designed by Ruairidh Moir consisting of a wood and turf hideaway nestled at the foot of Ben Ledi. 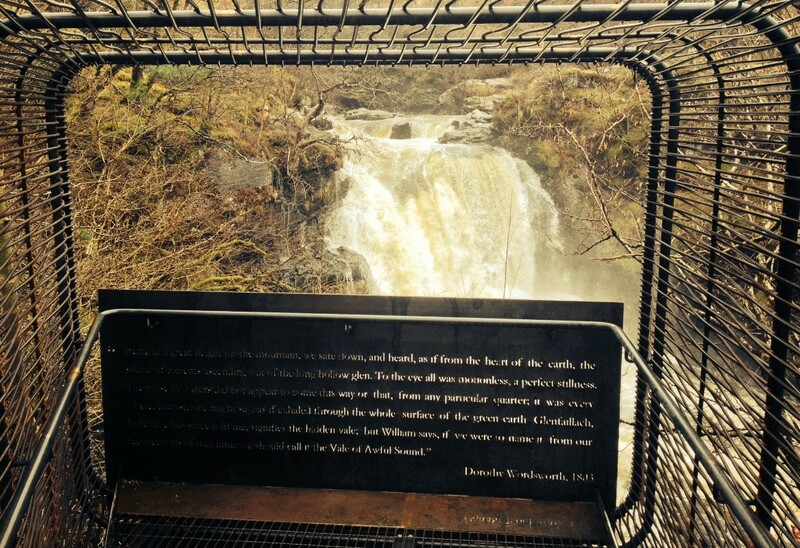 Scottish Environment Secretary Richard Lochhead said: "Innovative viewpoints in areas of outstanding scenery will enhance the appreciation of Scotland's landscapes and enrich journeys for both residents and visitors. It will also support rural economy and employment by creating additional interest and driving more people to the areas. A fourth viewpoint will be unveiled later in the year with further schemes waiting in the wings for the Cairngorms and a stretch of canal bank by the A82. absolute disgrace. Take a natural unspoilt and location, best left alone and stick in a bit of human tat. Total vandalism. What kind of people need to look through a hole to notice the qualities of nature. If you are one of those people stay at home and watch the telly! 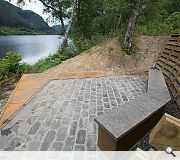 Will the next move be roads, car park and interpretation centre for the hard of thinking. Yes Dandelion, destroying the natural habitat of trolls too I hear. I'm really pleased to see such well resolved, high quality projects come out of this initiative and looking forward to seeing the next set of winning designs. Well done to all involved. All credit to those involved with all 3 projects - they look really excellent and will be interested to see them in the flesh. From other websites that have featured drawings and close up photos it is clear that at least that one scheme, the reflective one, is very well detailed and built. My one disappointment in the video posted above, and hosted on UR is that all those featured are credited as 'Architect' yet none appear on the architect's register. This is even more confusing when the project was specifically aimed at students as part of its target entry audience. Having followed all these proposals from their inception, I have to say that while there is a lot of pretentiousness and wishful thinking going on here, at least the Government is doing SOMETHING. And it's nice to have a wee viewpoint at the end of a walk. I have to agree with Dandelion. This is self-indulgent, self-important twonkery. The irony is that the view is being ruined by something designed to help you enjoy the view. Why does SOMETHING always have to be done? Leaving unspoilt beauty 'unspoilt' is a better option. 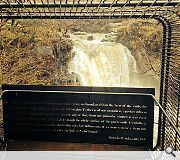 "Nice to have a wee viewpoint at the end of a walk". Seriously? You really think people will get there and scratch their heads and wonder where 'the view' is? Nice to have a wee cafe and maybe a wee pub as well? How about some bins and a charging station for your smart phone? There are already far too many road signs, hoardings, pylons and wind turbines spoiling our natural beauty. We should be removing stuff not adding more. @ JackAnderson my jokey tone of voice obviously didn't come across. Obviously if the aim is to help tourists enjoy the Highlands the money would be better spent on improving/maintaining the A82 than studenty ordure.